So you've finally decided you start learning the in's and out's of embedded systems! Great! The first steps are always the most difficult and it is for that reason that I've created this tutorial. 1. 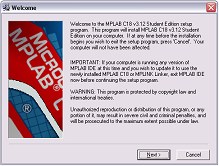 Getting the MPLAB IDE & C18 Compiler. 2. 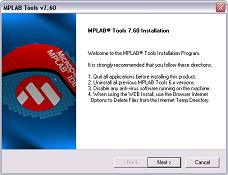 Installing it (what options to choose). 3. Connecting all the Hardware together. 4. Connecting the PIC to a Host Computer. This tutorial is setup for the first timer, so don't worry about not understanding something. There are alot of pictures & videos. As a beginner with embedded systems I encountered few support sites to help me along the way and that is the main reason this tutorial exists. Starting with such a broad topic and little support is terribly difficult for such a simple device like the PIC. The goal of this project is to thoroughly explain and complete the process of interfacing a PIC to a host computer. Once this is achieved you can download programs to the PIC Microcontroller and run them, basically making a small computer do your bidding! The C18 Compiler Suite is used because it is provided for free from Microchip and it offers a much easier method of programming the PIC with the more familiar C syntax.